Total War and Alien Isolation developer The Creative Assembly are currently looking for new blood to fill their ranks, according to a post on their website. The company is more specifically looking for an online multiplayer programmer to work on a “multi-platform AAA blockbuster.” Responsibilities will include “Creative online infrastructure and features,” and “understand the importance and apply security related best practices to development,” among other things. Although the position is for the studio’s console team, the posting gives extra credit to candidates with experience in the PC, in addition to the Xbox One and PlayStation 4. 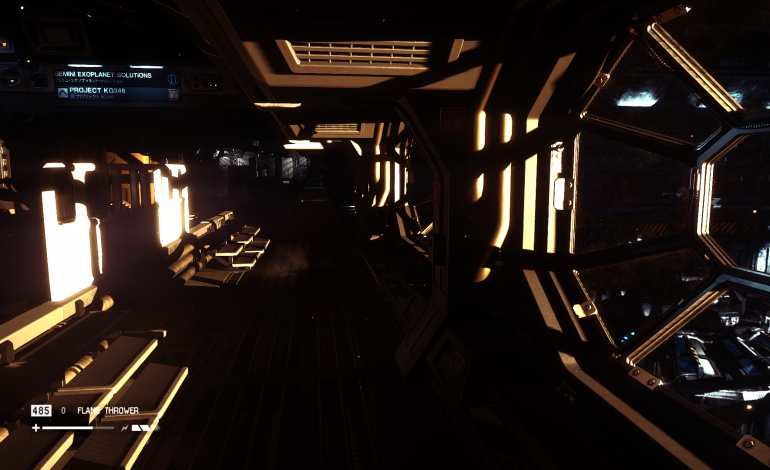 It isn’t known what this “AAA blockbuster” will be, exactly, but considering that A, the job posting features a screenshot from Alien Isolation, B, CA have discussed the possibility of a sequel to that game and C, Isolation sold a very profitable two million copies, it seems quite likely that the game in question could be a sequel to Alien Isolation. CA are also working on Total War: Warhammer, but it’s not likely that the position is for this game, as the Total War games are exclusive to the PC. He added that a sequel would stick with the single-alien concept laid down by the first game, but would have an increased level of interactivity with the environment. Look, I’ve said it before and I’ll say it again. The sequel to Alien Isolation should be set directly before the events of Aliens, and have players take on the role of Newt.